When you need a retaining wall builder, you can depend on Wise Retaining Walls for high quality retaining walls and prices you can afford. We believe our customers deserve top notch work, professionalism, and reliability. We treat our customers like family and go out of our way to ensure each and every customer is totally satisfied with our retaining wall construction services. We take on all retaining wall construction projects regardless of size for both residential and commercial customers. We offer all types of retaining walls including poured concrete, stamped concrete, stacked stone, brick, paving stones, and wood. We have built a reputation as the leading retaining wall construction company in the area because of our quality work, affordability, and superior customer service. Our goal is to start every retaining wall project on schedule and complete each wall in a timely manner. So if you want a great deal and the best retaining wall service around please give us a try and we will take care of all your needs. Please fill out our simple contact form so we will can get back to you fast with a free quote for our services. If You Need a Retaining Wall We Can Help! 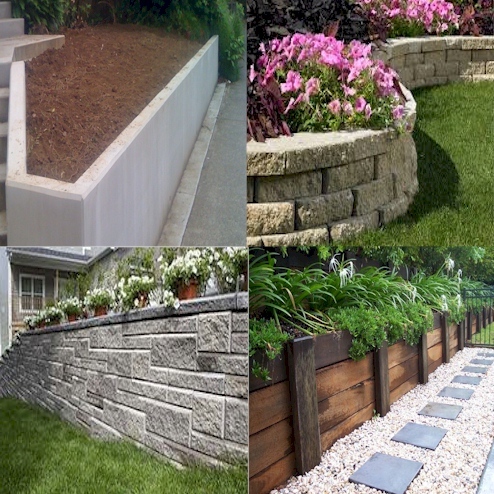 We offer many types of retaining walls. Get a fast, free retaining wall quote. Retaining Wall Construction - Select your State.